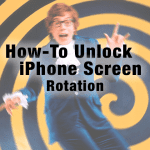 Make sure that screen rotation lock is off. 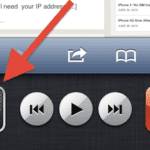 If you see lock symbol in the iPad’s status bar, then your device is set to lock rotation. 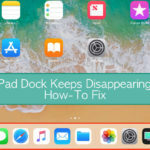 To unlock this, double click your home button, swipe from left to right along the bottom of the screen and tap the Screen Rotation Lock button. 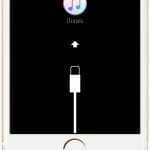 If you are still having this problem, simply restart your device by by holding the On/Off button until “slide to power off” appears. Turn off your device. Then, press the On/Off button to turn it back on. Notes: Some apps may use only portrait or landscape mode because not all apps are designed to rotate and only support one mode. I dropped my ipad and (probably) broke the accelerometer so now it wants to stay in portrait mode. The workaround I discovered is this: NETFLIX seems to default to landscape so I started Netflix, then use the slider button to LOCK rotation. Thereafter, every app is locked in landscape. thanks alot. you solved my problem. How can i resolve this problem?! As of yesterday google search will only go in portrait mode. Have done everything suggested for the last hour and no change. Other apps seem fine. Anyone having just a google problem. Impossible to use this way. Also search box not working at all. Won’t take any info. I have the exact same problem on one of my iPads only so any ideas as to why? I researched my orientation problem for 2 days for my iphone 5. I downloaded an app in the appstore called sensor kinetics which shows current readings for all the sensors. I could see that my accelerometer Z axis was fixed at 97+ value reading, even when the phone was laid down flat on a level table, but the X and Y axis data was fine and fluctuating when the phone is moved. (The ideal reading when laid flat is about 9 for the accelerometer z axis). I am experiencing the same problem of the screen stuck in the portrait orientation. If it were stuck in landscape, which I infinitely prefer using, I wouldn’t mind! (or at least I’d mind less). I have tried a complete restore (as suggested by Apple Support) and everything else suggested above, but nothing works. 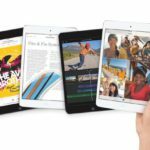 Apple is generating enormous profits but seems to be incapable of helping its customers to fix what is obviously a relatively common problem. try running Netflix, which defaults to landscape. When in Netflix/landscape, lock the rotation using the slider button. iPad 2 after updating to 8.1.1 has suffered from screen being stuck in portrait position. It is not rotating and this problem is wide spread. As such I feel iOS 8.1.1 needs debugging. We have tried all the suggested tips to correct the problem but of no use. We have once corrected thru iTunes backup and restoring procedure but it has again stuck in portrait position. I believe iOS 8 needs debugging. Screen not rotating is wide spread and it is not an individual problem. Apple support must look into this immediately . Not sure if anyone is still suffering from this issue after updating their iPad, basically iOS 8 gives you the option to swap the side switch to mute/lock rotation. Mine made the switch automatically, so make sure you check yours hasn’t done the same before you throw your iPad/iPhone out of the window. And swap it to mute. Thanks, Chris! It seems to have worked for me (iPad 2 on iOS 8). I’ve tried everything I can think of to fix the no rotate issue on my Ipad 4 32gb 4g.. turned it off, turned it on repeatedly. Swapped the key to the mute and back again. Did a full reset…nothing seems to work. It has been stuck ever since I updated to iOS 8. It is out of warranty to apple is no help. Lame. Apple needs to fix this. I talked with a co worker, she has the same issue, so I’m assuming this is pretty wide spread, more than the blogs are showing. YOU ARÉ A GENIUS!!!!! NO ONE ELSE HAD THE SOLUTION. THIS IS IT. THANK YOU!!!! After the update, part of the rotate works, part of it doesn’t. 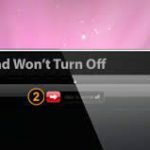 For instance, the time, slide lock, media bar (at the bottom), drop down notifications and they keyboard are all horizontal when the screen is rotated horizontally, but the screen, apps, etc. (including status bar at the top) are all still vertical. The apps all rotate okay, the tilt works. And, oddly enough, when the iPad is rotated and held vertically, all of those things mentioned above – are still horizontal. So if I want to search for something or check notifications, I have to swipe from the side and tilt my head! Well, or rotate the iPad. Mine does not rotate in response to position changes. Iv’e tried every possible solution. Been a couple of days already till recently i tried opening tilt-based games (temple run and riptide GP) and found out that there is no response on all the tilts. Could this be a busted accelerometer issue? Tried to soft and hard shut down still not rotating. The screen lock is not showing. Call Apple on this issue. I am having the same problem and nothing will fix it. Determine if your problem started after the last update from Apple. 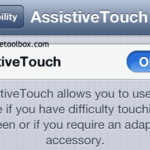 The teck I spoke to said the new update disabled funtions on the I PAD that were not operating correctly. Makes me think there there is an inherent problem in this part of the I PAD hardware that manifested itsself once the update was put on. Would love to hear thoughts on this from anyone who is in the same situation as me. There is no fix. Only option is to replace the I Pad. Mine is stuck on verticle as well. I am not seeing any lock icon. Re start is not working either. I have tried all the above. Screen lock shows it is OFF. Have tried soft and hard reboots. Still frozen vertically. Any other ideas?? and slide from left to right is the Sound button. There is no lock button. Pls help! i was having the same problem. in your lock screen simply swipe up to bring up your control center, i.e. flashlight, calculator etc. 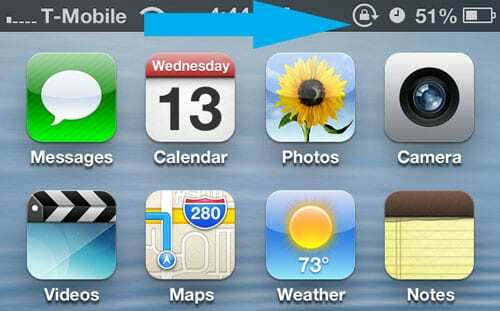 when you do, the orientation lock will be on the top right corner. simply turn it off. Thank you been trying to get my screen unlocked for ages, so simple really. Thank you for this information. It worked perfectly on my 5C. Well thank you Jerry! Saved the day ! Thanks, Jerry. I didn’t know about that setting. Sorry! I was so delighted to “find” a solution, I didn’t read the last bit. That should teach me!